Yes --a calendar of all the quilts I finished this year! And here's the back cover...with thumbnails of all the pictures that are inside. I am getting the calendar printed on Zazzle.com. This is the first time I've ever made anything on their site and I haven't received the actual printed calendars yet, so I don't know how the quality is...but they had the best deal for the size - 14x22" (open) on sale for $15 plus shipping. I'm excited to get them and see how they turn out. I did all the words, cropping and back cover in Photoshop - I am definitely not a Photoshop expert, so it took me a little while to figure out how to do what I wanted. 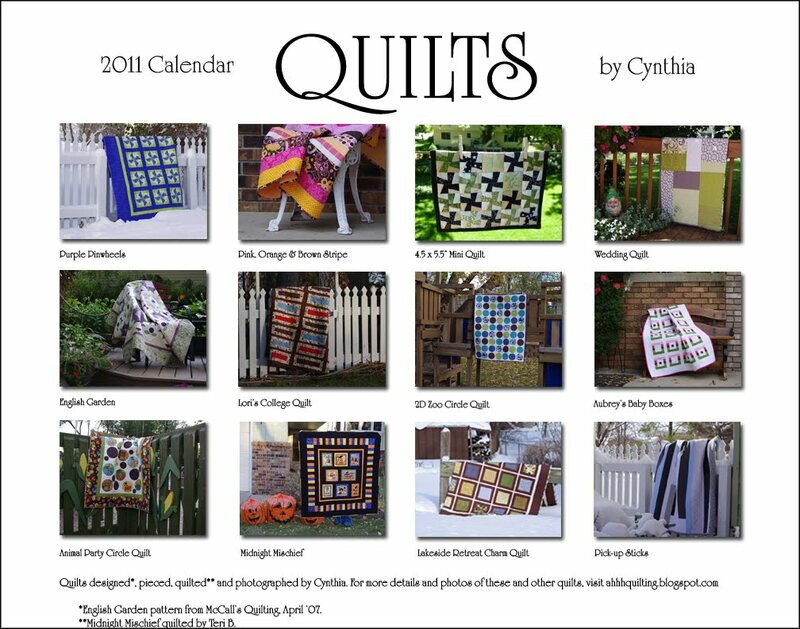 And in my classic style, I was frantically binding quilts, taking pictures (in the snow and freezing cold) and messing around with the editing on the last day of the calendar sale. But it wouldn't be Christmas for me without a crazy stressful finish, would it?! I love it!!! What a cool idea! 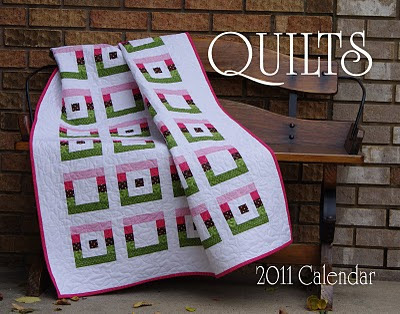 It looks very professional;) Happy Holidays, and Happy Quilting!! Love it! Your Square quilt is gorgeous, well all of them are.